i saw these Windmills while going to Kanyakumari but during the day time. But, I would, personally, never approve of such unwanted risk to be taken for anything in today’s age of disaster. After all, I’m sure, there are safer ways to do things, if enough time is devoted. brilliant result for your effort!! Thanks for the comments everyone! These windmills are always a fantastic sight. Be careful, but keep taking such beautiful pictures! 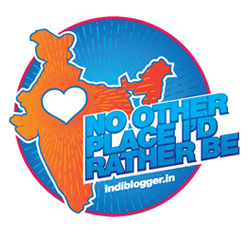 Thanks for adding me to your IndiBlogger network. Nice shot here. I always find it annoying when those HT wires get in the way of a picture perfect shot, but you have made it look as if it is part of the landscape. I am simply blown away. Do visit my blog sometime. And, it is an honour to be part of your network. Thanks a million. Brilliant shot Renie. Well captured from a moving train. If you don’t remember me, then I am the guy with the Olympus DSLR in the Chennai meet. Couldn’t take my eyes off! Hi Renie! Unbelievably beautiful shot. But this way of catching the photo frm the train is not at all good. i really don’t like this. somethings are result of breathtaking passion. Moment captured with the risk of loosing the head gives it a new dimension. he cannot add any color as per liking. amazing shot….u are a pro! Whoa!!!! Wat a breathtaking pic! WoW Fantastic view amazing !!! ‘awesome’ will be an understatement to describe this pic. super awesome ! Wow..Just going through your blog only today and I am very happy to see a person who was brought up in Nagercoil is the founder of the great IndiBlogger. Even though I am from Tirunelveli, I feel very proud of you since you have been grown up in the nearby city. As soon as I saw the word KK Express in which I used to travel a lot, I was interested to know where you are from. Great going and wish you all the best for more success. This is awesome! 🙂 Doesn’t look like it’s shot from a running train!! !